Adegboyega Ojo is Senior Research Fellow and Head of the E-Government Unit at Insight Centre for Data Analytics, National University of Ireland Galway (NUIG). His expertise is in the areas of Open data infrastructures, data integration and linked data, text analytics, data-intensive services, Open Government and Smart Cities. He is currently Principal Investigator on EU Horizon 2020 projects in the area of Open data platforms and co-creation of data-driven public services. He has led the development of National e-Government and IT Strategies for countries in Asia and Africa while at the Centre for Electronic Governance, United Nations University, Macao SAR, where he was Research Fellow and Academic Program Officer. He has served in several international conferences as Program and Track Chairs and currently. He is editorial board member for Elsevier’s Government Information Quarterly Journal and International Journal of Public Administration in the Digital Age. He has published over 140 scholarly publications as Journal articles and conference papers. He has also written scores of policy reports. He was elected the Secretary of the Digital Government Society (DGS) in December 2016. 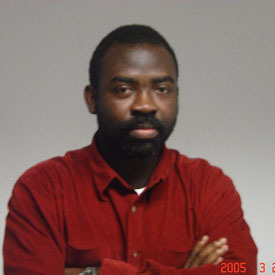 Adegboyega obtained a doctorate in Computer Science from the University of Lagos, Nigeria in 1998.